(BOSTON) — Antibiotics are the mainstay in the treatment of bacterial infections, and together with vaccines, have enabled the near eradication of infectious diseases like tuberculosis, at least in developed countries. 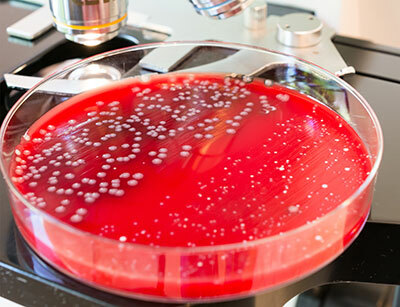 However, the overuse of antibiotics has also led to an alarming rise in resistant bacteria that can outsmart antibiotics using different mechanisms. Some pathogenic bacteria are thus becoming almost untreatable, not only in underdeveloped countries but also in modern hospital settings. Michael Lobritz and James Collins explain how antibiotics can have vastly different effects on pathogenic bacteria and suggest potential implications for improving antibiotic treatments in infected patients. “In principle, antibiotics suppress infections either by killing the bacteria, which is called a bactericidal effect or by merely inhibiting their growth, by what is called a bacteriostatic effect. After the treatment has been stopped, growth-inhibited bacteria, however, can re-emerge from their dormancy to start multiplying again with latent infections relapsing back into full-blown attacks. Now, in a new study, published online on June 22 in the Proceedings of the National Academy of Sciences, a team at Harvard’s Wyss Institute for Biologically Inspired Engineering led by Wyss Core Faculty member James Collins, Ph.D., pinpoints a critical differentiator that separates the effects of bactericidal and bacteriostatic antibiotics: cellular respiration. This metabolic process uses oxygen under aerobic conditions to convert energy stored in nutrients into ATP, the main energy currency used by all cells. “It was known for a while that some bactericidal antibiotics put bacterial respiration into over-drive, which, by producing too many oxygen radicals, becomes toxic to the pathogens. We wanted to zero in on these bacterial responses and decided to systematically investigate respiration levels in bacteria treated with a larger spectrum of bacteriacidal and bacteriostatic antibiotics,” said Michael Lobritz, the study’s first author who is a Wyss Institute Clinical Fellow, an instructor at Harvard Medical School, and an infectious disease physician at the Massachusetts General Hospital (MGH). To begin, Lobritz and his colleagues measured cellular respiration levels in bacterial cultures that were untreated, as well as cultures that were treated with both kinds of antibiotics. The results were clear-cut: in agreement with earlier observations, bactericidal antibiotics generally accelerated respiration activity and produced a toxic overflow in energy production. Surprisingly, however, the team found that bacteriostatic antibiotics worked in quite the opposite way on cellular respiration, they slowed down oxygen consumption and energy production. Studying antibiotics in bacteria allowed a team at Harvard’s Wyss Institute led by core faculty member James Collins to discover that antibiotic efficacy is linked to differences in cellular respiration. The findings could help develop new strategies that prevent bacterial tolerance against antibiotics. Credit: Zaharia Bodgan/Shutterstock.com. Since in clinical practice antibiotics are often administered in combinations to enhance efficacy and the spectrum of targeted pathogens, the team surveyed how combinations of different antibiotics affect cellular respiration. As it turned out, bacteriostatic respiratory outcomes always dominated meaning that the net effect always is a reduction in cellular respiration. As a result, bactericidal effects get eliminated in the mix and the pathogenic bacteria become tolerant. “Adding bacteriostatic antibiotics to a combination induces bacterial tolerance to the bacteriocidal treatment. This could help explain why certain antibiotic therapies do not work. Elucidating the pathways that mediate changes in respiration triggered by specific antibiotics could lead to new potential drug targets that may help achieve the same result in infected patients,” said Collins. The team backed up and expanded their findings with genetic evidence: deletion of bacterial genes responsible for cellular respiration and energy production prevented killing by bactericidal antibiotics. Conversely, deletion of a gene that helps coupling oxygen consumption with energy production artificially ramped up respiration rates and at the same time boosted killing of bacteria treated with bactericidal antibiotics. “These results identify the acceleration of cellular respiration as a means to enhance the activity of existing antibiotics,” said Lobritz. According to Collins, “these findings are only the beginning. They show that better combinations of antibiotics are possible. But ultimately we want to gain deeper insight into the antibiotic modes of action affecting cellular respiration so we can identify better antibiotics to help treat infections.” Collins is also the Termeer Professor of Medical Engineering & Science at Massachusetts Institute of Technology (MIT) and a Professor of Biological Engineering at MIT. “Given the alarming increase in infections caused by multi-drug resistant bacteria, the team’s findings provide an entirely new strategy for development of urgently needed therapeutics,” said Wyss Institute Founding Director Donald Ingber, M.D., Ph.D., who is also the Judah Folkman Professor of Vascular Biology at Harvard Medical School and Boston Children’s Hospital and Professor of Bioengineering at the Harvard John A. Paulson School of Engineering and Applied Sciences.